Amazon Bill Payment & Recharge Offer - Recharge your prepaid mobile, DTH account, Pay your electricity, postpaid, landline, broadband, gas bills. 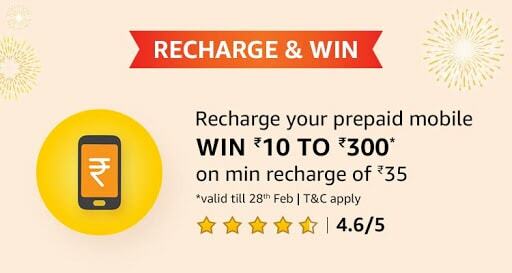 How to Avail Amazon Prepaid, Postpaid, DTH, Electricity, Gas bill, Landline, broadband bill Offer? You will get cashback in wallet.